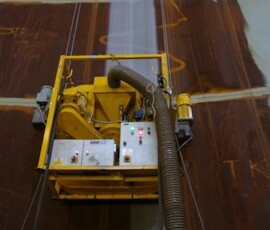 The range of SPE Autoblast Vertical Shot Blasters are designed for the fast and efficient blasting of steel surfaces. 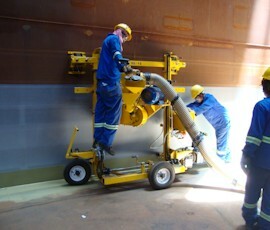 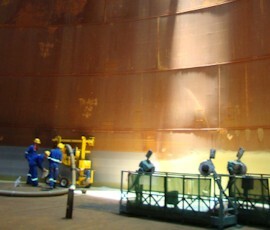 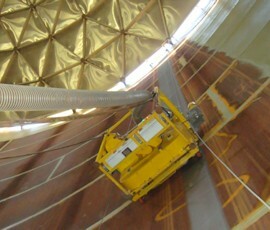 This type of vertical shot blaster is designed to blast clean the internal shell of oil tanks up to 2m from the floor. 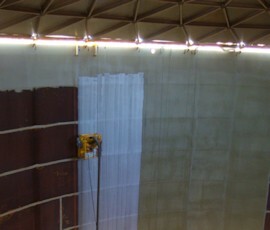 The blast clean head is mounted on a mobile framework and the V2 is driven around the perimeter of the tank during the blast cleaning process. 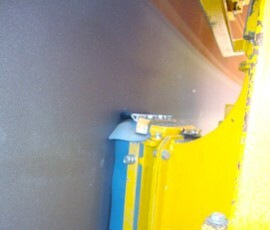 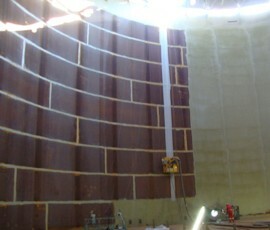 As one pass is completed, the blast head is raised inside the framework and the process repeated. 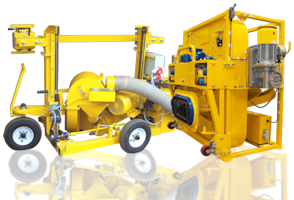 This is the only system manufactured worldwide specifically for this purpose.